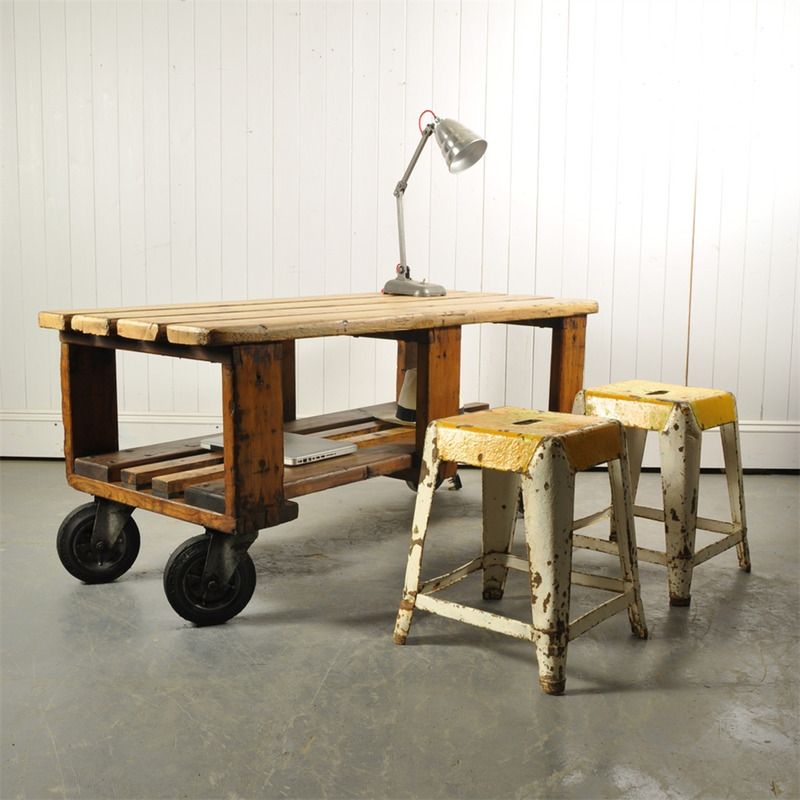 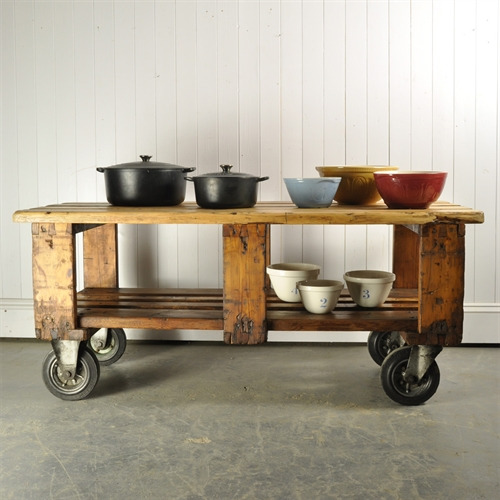 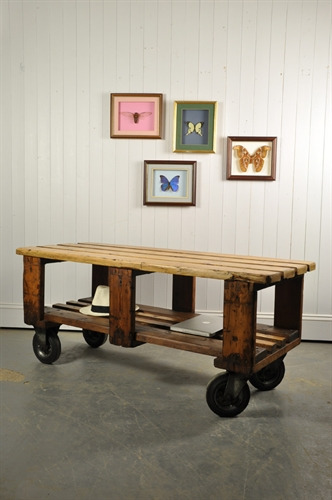 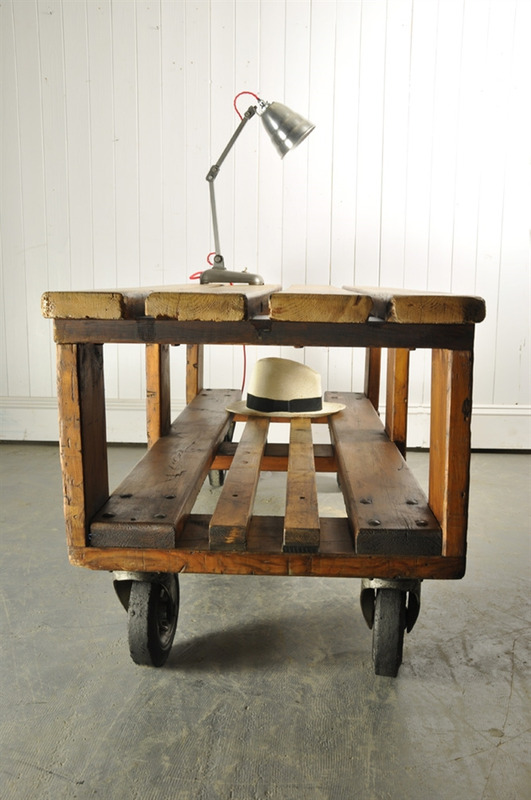 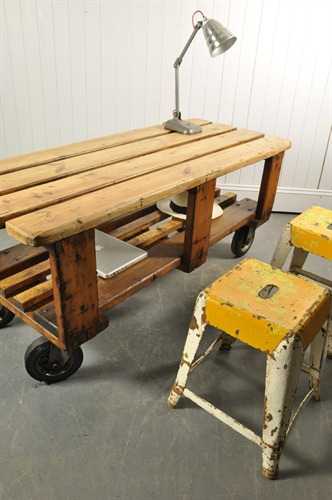 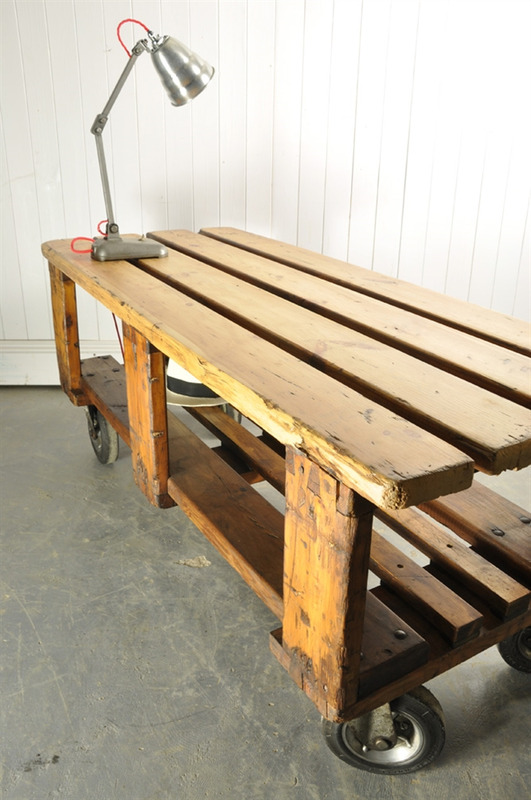 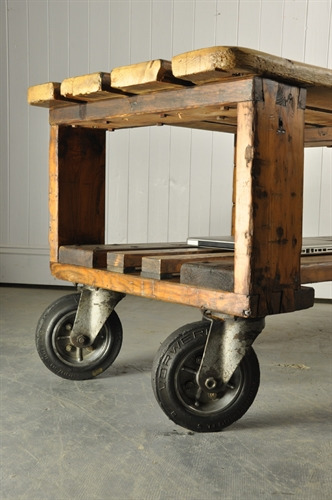 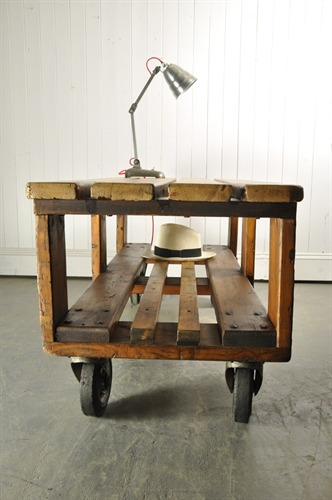 This factory trolley came from a large joinery in Holland where they were making kitchens. It has been given a good clean and the top sanded and finished with a wipeable shellac lacquer. 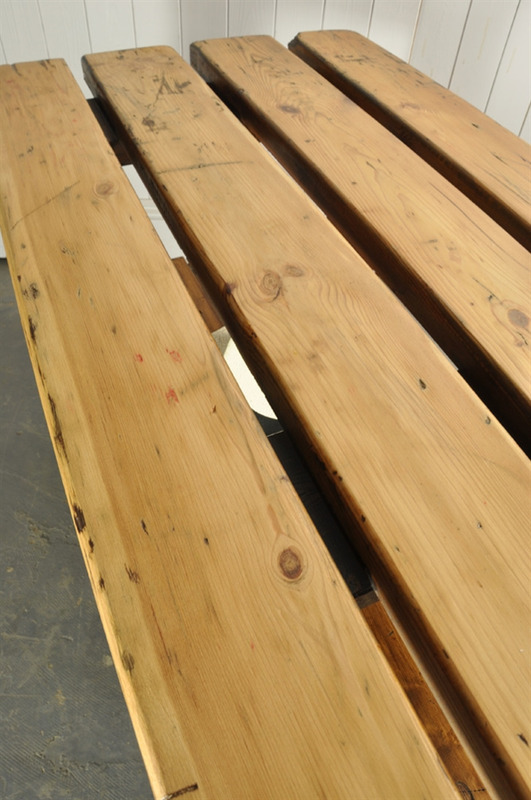 Its retains much of its natural colour and patina with a few bumps and scrapes. We love this as a coffee table, waiter station or great as point of sale in a retail situation.